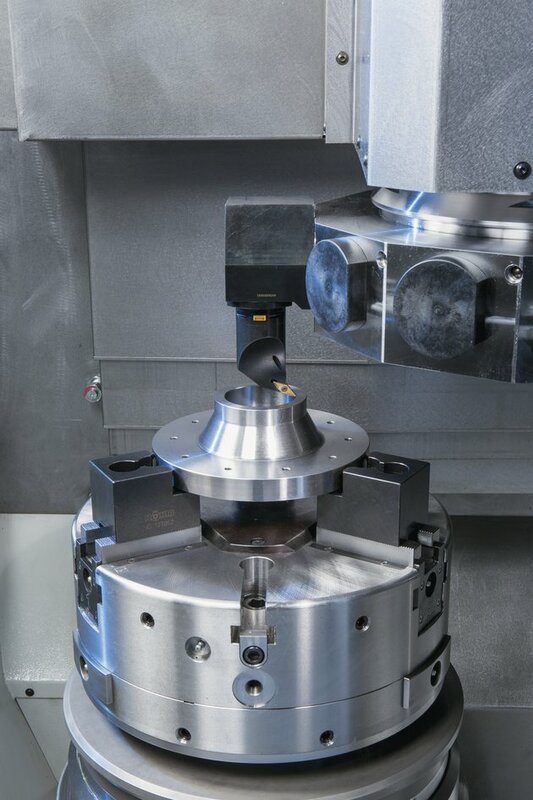 With the new VM 9 vertical turning center, EMAG has introduced a platform that covers a broad spectrum of applications thanks to the combined turning, milling and drilling technologies and intelligent machine design. 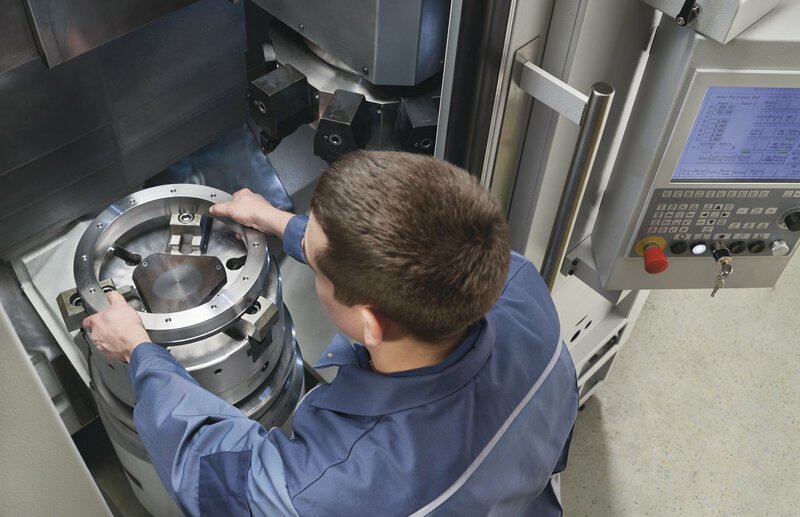 The highly accessible machining area and workpiece spindle fitted at the bottom ensure short tooling times and maximum flexibility in the production of large components. The heavy-duty foundation of the VM 9 Vertical Turning Center is made of a MINERALIT® polymer concrete column. 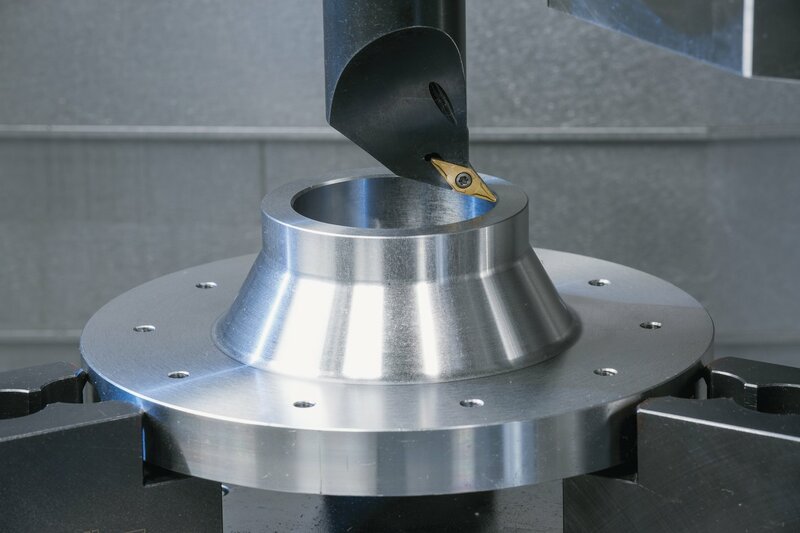 The particularly good damping properties of Mineralit®, combined with the compound slide with the X- and Z-axes ensure excellent machining quality, high speed processes and short idle times. The main spindle provides the necessary power with a 83 kW rating and a torque of 990 Nm. Depending on the desired interface (BMT or VDI), the tool turret features eight or twelve tool positions, which can also be equipped with driven tools to carry out drilling operations, for example. The integrated probe ensures process reliability and guarantees consistently high workpiece quality (first part = OK part). 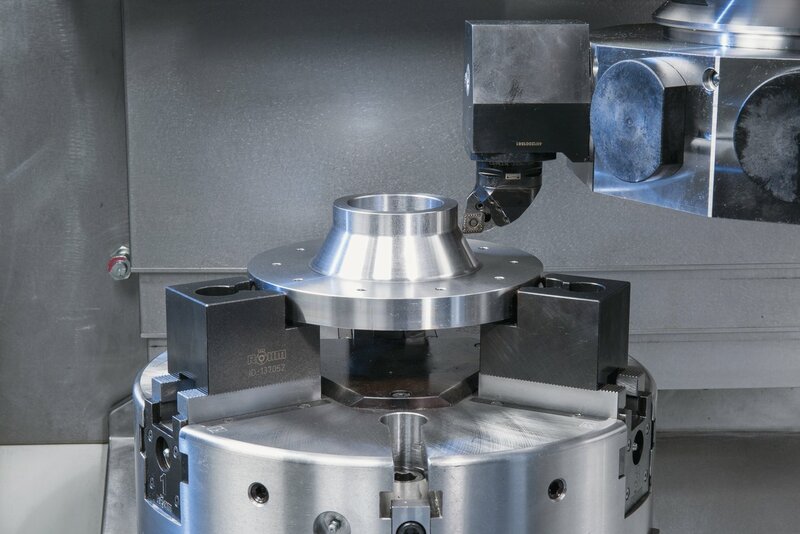 But the VM 9 turning center does not just deliver excellent machining quality. 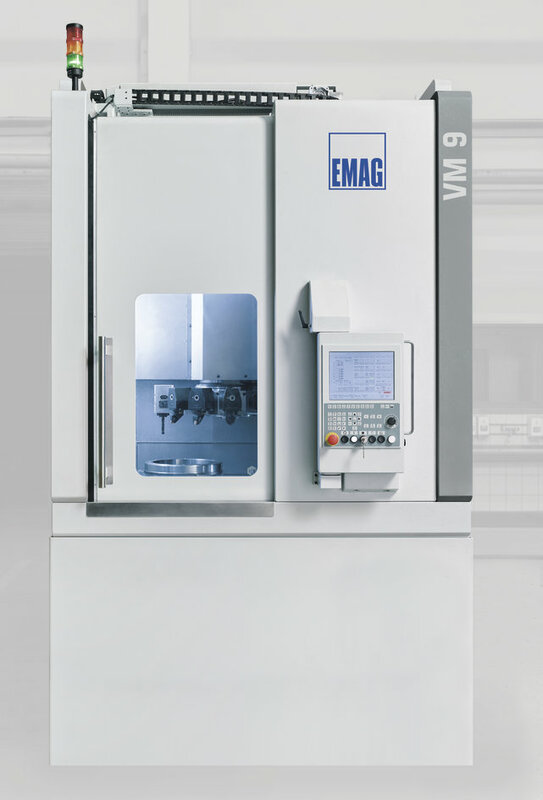 The ergonomic design of the machines is perfect evidence of the decades of experience EMAG has with vertical turning machines. Both the machining area and all maintenance components are easy to access. This is is a major advantage for customers who have to cnc machine many different workpieces or various part families. 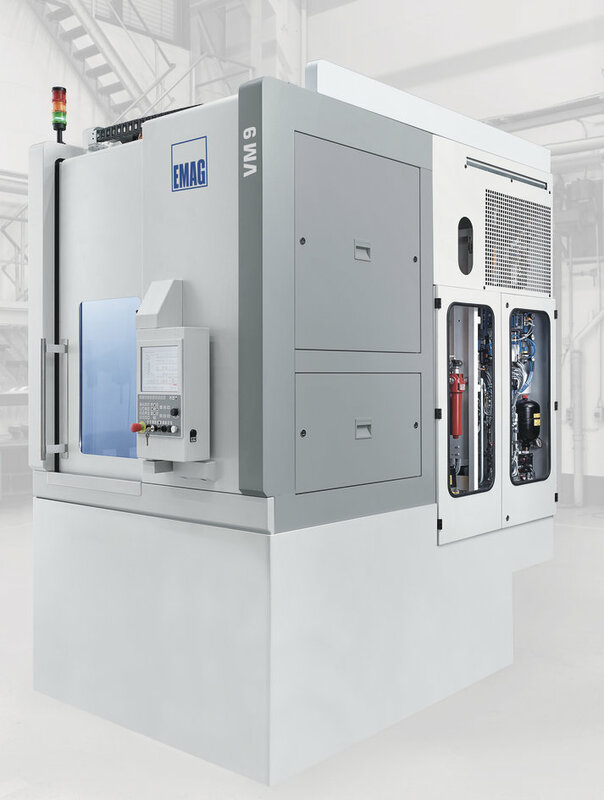 With the VM 9 vertical lathe, EMAG offers a new cnc machine system for chucked parts suited to the production of a wide variety of workpieces in many different manufacturing scenarios thanks to its flexibility. Whether components for trucks, construction and agricultural machines or for mechanical and plant engineering, the VM 9 turning center is ideal for practically every sector. 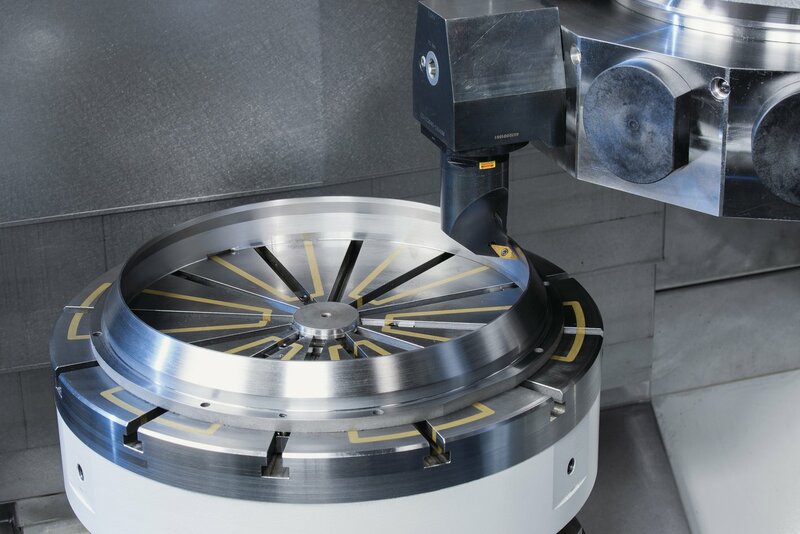 The excellent accessibility to the machining area makes the machines an all-round solution for turned parts. 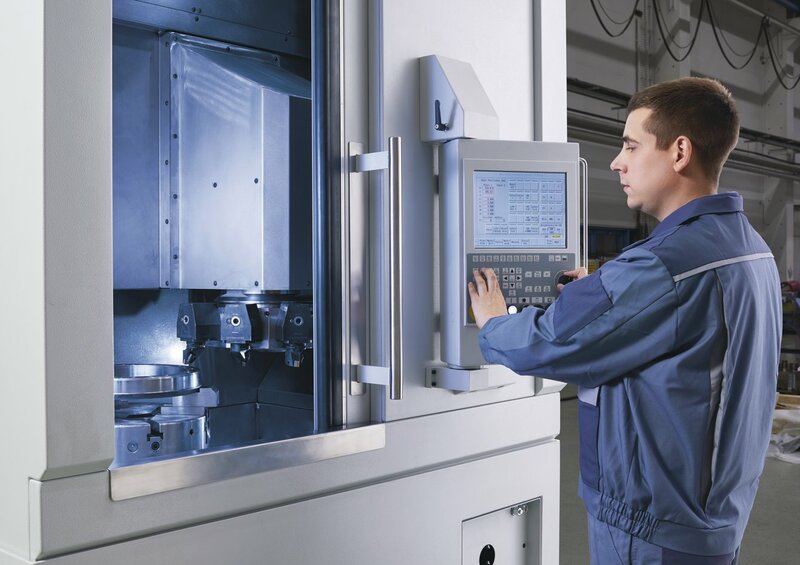 For more complex geometries, those involving milling, for example, the VMC MT series is available.